Jimmy Carlos and Pete Antoniano were brothers who shared the same mother but had different fathers. 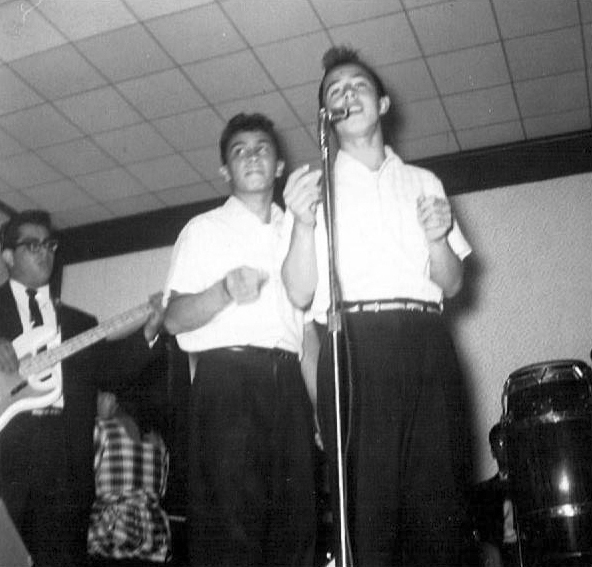 They are credited as being the first Los Angeles-based act to bring the Mexican duet style into rhythm & blues. They grew up in the Cabrillo projects in the city of Long Beach, California. Their early influences were all-black doowop & R&B groups. Jimmy & Pete went to Banning High School in the city of Wilmington, California. There, they began performing under the name the Shadows at talents shows and shows for local car clubs. 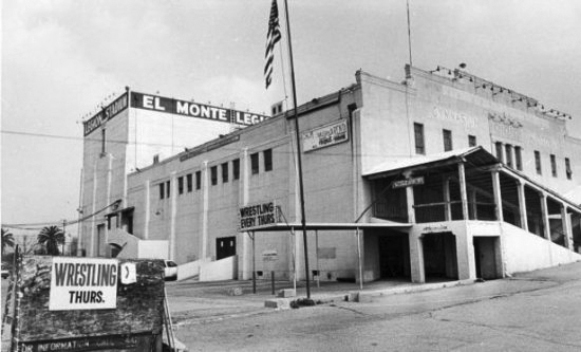 They were asked to come and perform at El Monte Legion Stadium at a show headlined by Ritchie Valens. Ritchie was impressed by duo and told them he would talk to his manager Bob Keane of Del-Fi Records. At the time Jimmy was 17 and Pete was 15. They recorded "Under Stars Of Love" and "Jungle Fever" under the name the Shadows. It was released in September of 1958 but the record went nowhere possibly because using the name the Shadows, they were thought to be black. 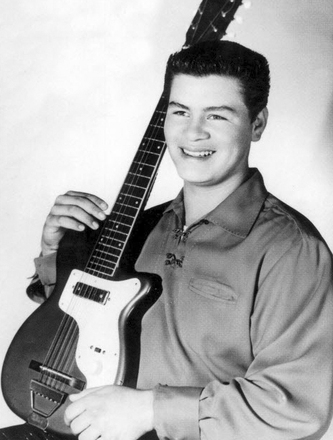 For their next single, the duo recorded "Tonight" and "Come On Let's Dance" For that session they were joined by Ritchie Valens who plays guitar on both sides. The record was released just one month after Ritchie's tragic death in February 1959. For this release & the next they used the name The Carlos Brothers. Later in 1959, Jimmy & Pete would record "It's Time To Go" and "Little Cupid". In 1960 the brothers would record an updated version of La Bamba" and it would be released with "It's Time To Go" as the flip side. 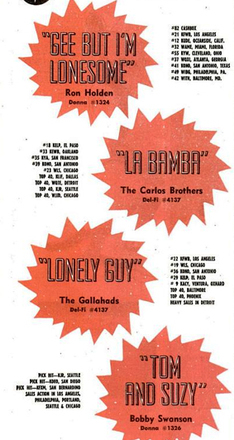 For the track " La Bamba" Ritchie's original track was used, Bob Keane added some violins and the Blossoms, a Los Angeles girl group added the backing. 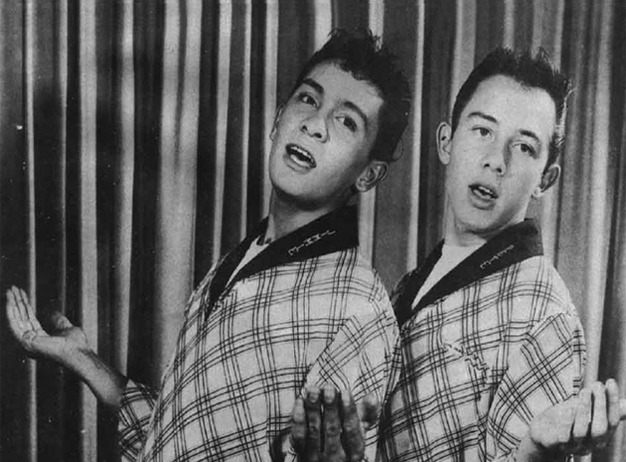 The Carlos Brothers would quit music for a while but returned in 1963 for producer H.B. Barnum. They cut "Meet My Town", a sort of Beach Boys-styled tribute to Los Angeles and "I Realize". These tracks were released on the Zen label.